Created by multi award winning children's educator Harriet Gore, Rock ‘N Learn has been designed to unleash the potential in young children. The class program uses brain-boosting activities to help develop creative, happy and empowered children. 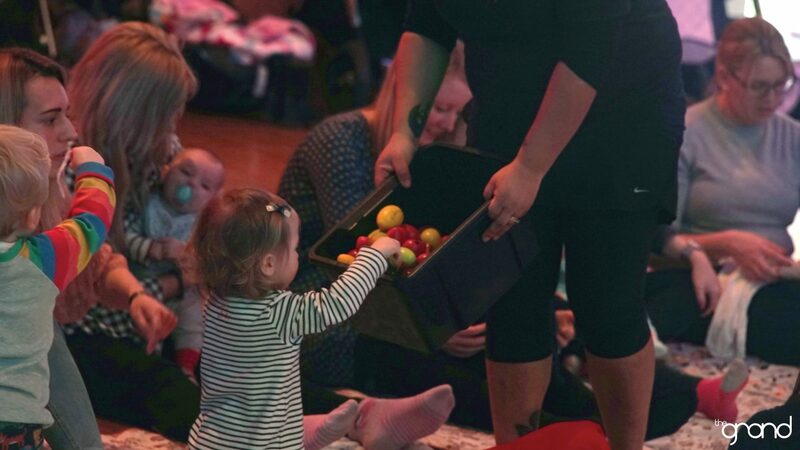 Using upbeat music, puppets, singing, dancing and stories, children are literally rocking and learning. TEDDY BEAR ROCKS (Newborns to Walking) is designed to empower parents with new ways to observe and interact with their children. 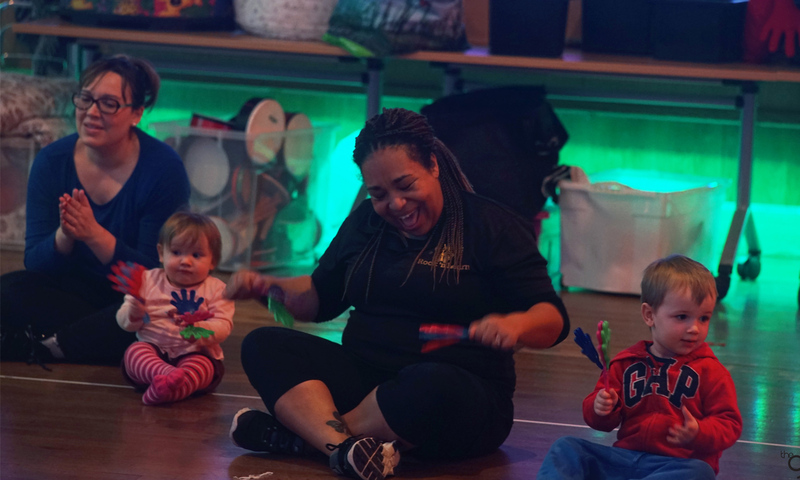 Packed with musical exploration, signing, sensory learning and dances all underpinned by positive messaging and activities. The classes are a multi-aspected learning process for parents and their children. FAMILY TIME ROCKS (Ages 1 - 5) A family that plays together stays together! 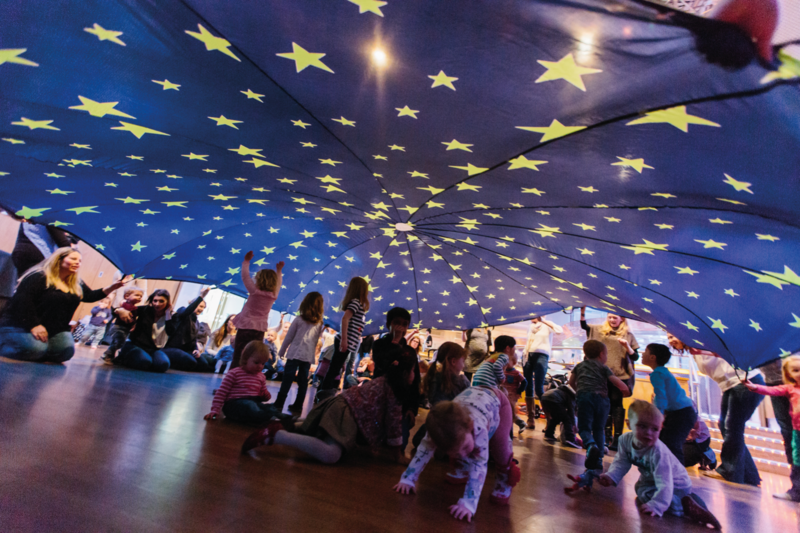 Offering an environment where children and siblings can enjoy rocking and learning together. 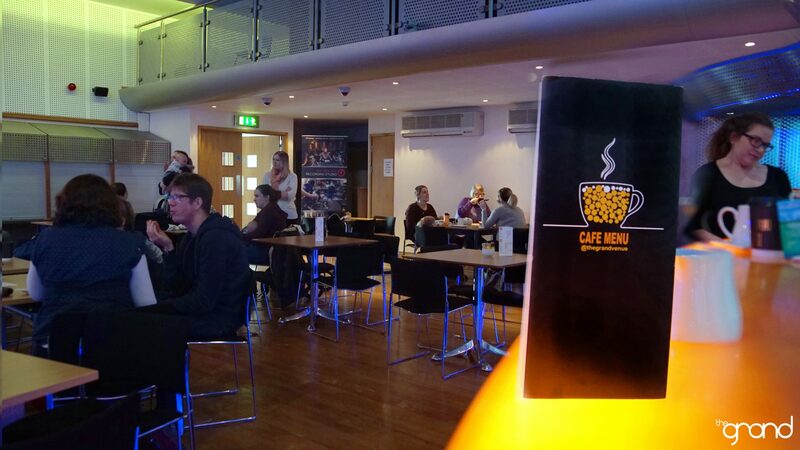 Our Cafe is open from 9.00am and throughout the classes, serving a range of hot and cold drinks, cakes, toasted t-cakes and confectionery. 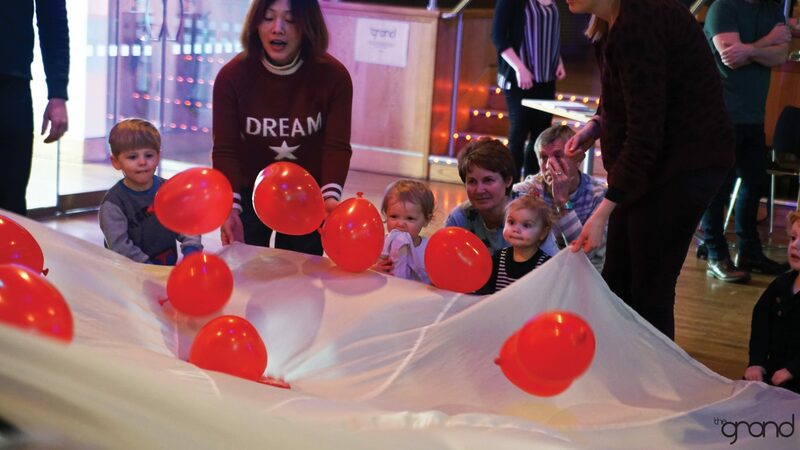 £4.50 per family (not per child), free for babies up to 17 weeks and with recognised special educational needs. Our award winning teacher Harriet Gore has created a new exciting music and movement programme called Rock N Learn. Harriet's mission is to empower all children through music, learning and play and has been a massive hit here at The Grand with up to 90 families attending every Friday. "An amazing venue where we can spend time as a family." "The best coffee and cakes in town!" "Attended for the first time this morning with my 15 m/o daughter Penny. She absolutely loved it! We were both made to feel very welcome, Harriet is excellent and we're already looking forward to our next class! Highly recommended!" "A fabulous class for all not just the babies! Harriet is amazing and all the children are mesmerised with her. 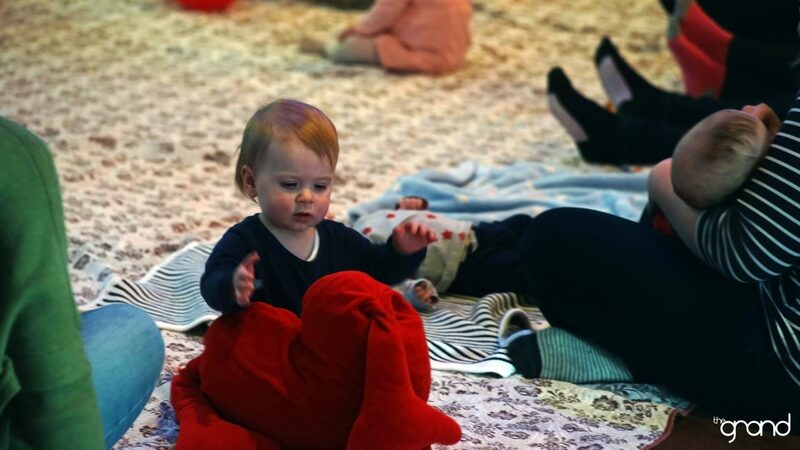 She has fun sessions which allow babies to learn and takes interest in all the children! Arguably the best class around." 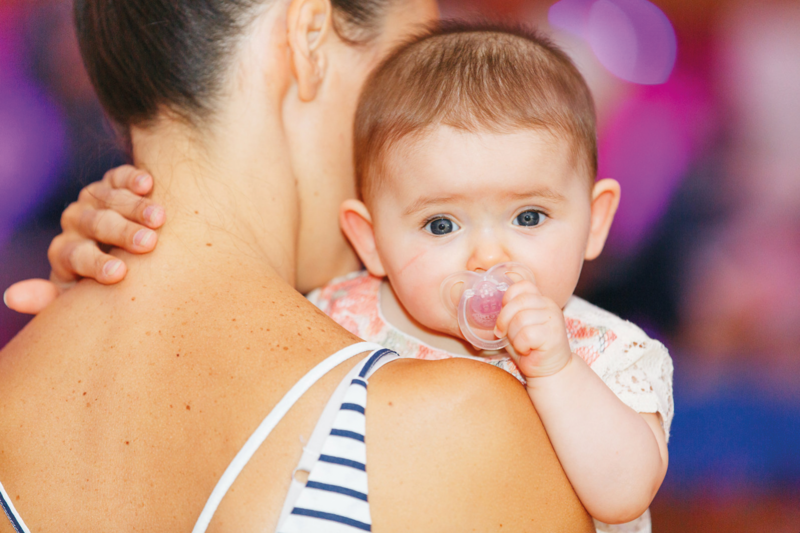 "Rock and Learn was recommend to me in early July when my daughter was about 6 months old and we haven't missed a classsince! We love it! 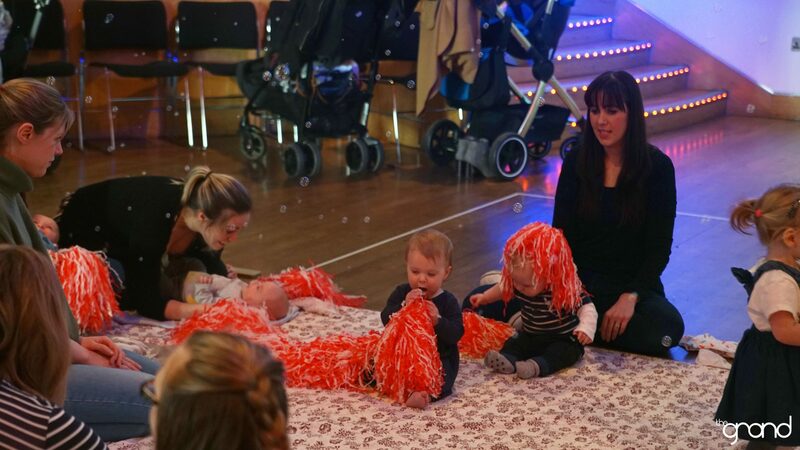 Rosie really takes it all in, watching and copying Harriet and all the children, its great seeing her enjoy the music and instruments and every week is a new and exciting theme! Thank you Harriet!" "Thanks Harriet for a really inspirational and uplifting class today. Martha really enjoyed it so we will be back again next week!"